The benefits that 2D barcode scanners offer make companies the obvious choice for organizations looking at how they can improve their operational visibility to increase productivity, efficiency, and customer satisfaction. Imagine a world in which there are no barcodes, and the inconveniences that would ensue. There would be long lines at the supermarket because the cashier has to manually input each item on the Point of Sale terminal; there would not be e-tickets to movies, games, or concerts; in a business environment, warehouse and retail staff would have to spend hours on end working to track the inbound and outbound products moving around without the small sticker of stripes – leaving customers waiting and frustrated. Workflows can be speeded up while maintaining accuracy, as data entry is done quickly and effortlessly by scanning –and not manually typed. By virtue of that, they can reduce costly mistakes that may be introduced by human input. Human errors at times can even prove to be fatal, such as erroneous drug prescriptions or patient misidentification in the healthcare industry. Barcodes are also recognized for their versatility as they can be used for a wide variety of data collection, including prices, inventory control, manufacturing information, etc., and can be attached to any surface. A small barcode contains an astonishing amount of information, including product type (first number), manufacturer code (next five numbers), product code (next five numbers), and a check digit (last number), followed by a 'quiet zone' at the end of the number series that lets the computer know that the barcode has ended. All these numbers form a unique combination that works to make sure that a customer doesn't get charged for the wrong item at the till. For decades, barcodes have been doing an extraordinary job by featuring multiple lines of information in a limited square space. As enterprises demand more information to gain increased operational visibility, the need for a new type of barcode was needed - one that could store an even greater amount of information. The solution to this challenge is the two-dimensional (2D) barcode –an evolution of the traditional 1D barcode. Using crisscrossed marks and white spaces, 2D barcodes are able to encode more information - sometimes tens or hundreds of times more in the same amount of space. 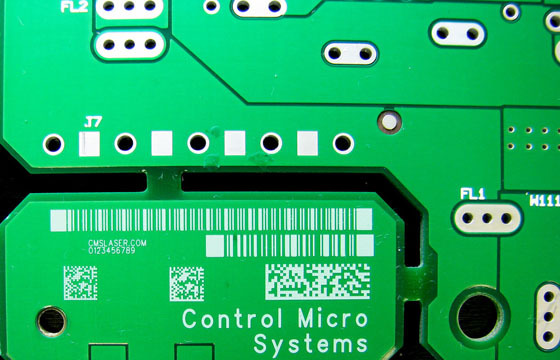 As electronic components are getting smaller, the need for smaller barcodes that store the same or more information per square millimeter is rapidly increasing. If you have ever seen the inside of your smartphone, you might have noticed barcodes – no bigger than a quarter of your smallest finger nail – imprinted on parts like the camera or haptic engine. With the ability to store a greater amount of information without taking up more space, it is no surprise that we are seeing a steady shift toward using 2D barcodes across all industries. As a result, the 2D barcode industry is expanding, and is projected to increase at a Compound Annual Growth Rate (CAGR) of over 6 percent during the 2016-2020 periods. Part of the 2D family – Quick Response (QR) codes, Data Matrix barcodes, and Zebra's PDF417 barcodes, are also increasingly being used, each for their unique characteristics. However, barcodes alone are only half of the solution; the information has to be collected and interpreted. The older 1D barcode is made of black and white bars, designed to be picked up by a laser scanner based on the amount of light reflected into the scanner, and subsequently read by a computer that only recognizes binary language. With the advent of 2D barcodes came a new generation of scanners, as the good old 1D laser scanners are unable to read the newer, denser barcodes. The leap to 2D has enabled scanners to get more and do more. Anyone who has used a 1D barcode scanner – say, at a self-service checkout at the supermarket – will know how “fussy” they can be. A slight smudge, cling wrapped barcodes, or being scanned at an angle – these are things that would throw an error on the scanner. Imagine the amount of time lost when a warehouse worker has to struggle with these issues hundreds of times a day. For starters, 2D scanners are backward compatible with regular 1D barcodes. They are also able to read these black-and-white tags off various surfaces, including paper, plastic, metal, etc., and even off the shiny glass of your mobile device. In addition, they can capture the codes at wider angles and longer ranges, and read multiple barcodes in a single trigger pull. What makes 2D scanners even more relevant is their ability to read damaged, smudged, poorly printed, or scratched barcodes, piecing together the information on their own without human intervention. As most of the work is carried out in the warehouse, factory, or store, sturdier handheld scanners gain popularity for their ability to withstand drop and wear in an industrial environment. Apart from scanning black lines or boxes, 2D scanners also support optical character recognition (OCR), a feature that turns images into text intelligible for computers. This is particularly useful in capturing data from a driver's license or a prescription. Image and document capture is another feature of 2D scanners. Once enabled, users can directly upload pictures or documents from scanners to their computer or network, doing away with the physical hardcopies. In the ever-shifting retail environment that demands fast, accurate data capture, an upgrade to 2D imaging technology can deliver a renewed customer experience, and improve overall productivity. For example, mobile coupons are increasingly collected and used by savvy shopping mavens to score the best discounts. Most of the time these electronic coupons flashed on a mobile screen can only be read by a 2D scanner, making it a new avenue for retailers to retain and reward customers, or advertise promotions. Mobile payment is another value-add service 2D scanners can enable; by scanning the mobile screen showing card numbers or a code, payments could be made quickly with a single swipe of hand. Healthcare is another critical sector that can benefit from 2D barcodes and scanners. Patient ID and drug information have long been embedded in a patient's wristband, which is scanned prior to any clinical interaction like administering drugs or taking blood samples. This method can reduce medical errors by minimizing misidentification. In the pharmacy, prescription papers are scanned to create a digital copy to be stored for future use, reducing use of paper and making finding past records much easier than before. 2D barcodes and scanners are also widely utilized in the warehouse, primarily for track and trace of products and components moving around on the warehouse floor. Barcodes are able to tell generous details of a component including serial number, date of manufacture, lot number, and manufacturer location and more, therefore helping warehouse personnel quarantine bad stocks of goods quickly. Barcodes are also used for pick, pack, and ship, providing increased real-time visibility into the supply chain and movements of products at rest or in transit. It's no surprise that an increasing number of enterprises are planning to invest more in bar-coding over the next few years. In Zebra's recently released Warehouse 2020 Vision Study, 74 percent of respondents polled said they plan to increase technology investments by 2020, and 70 percent of them also indicated they would be investing more in bar-coding technology. In conclusion, the benefits that 2D barcode scanners offer make them the obvious choice for organizations looking at how they can improve their operational visibility to increase productivity, efficiency, and customer satisfaction. The humble 2D barcode will certainly be a solution that enables them to get more and do more. For more information on 2D barcode scanners, visit Zebra's website.